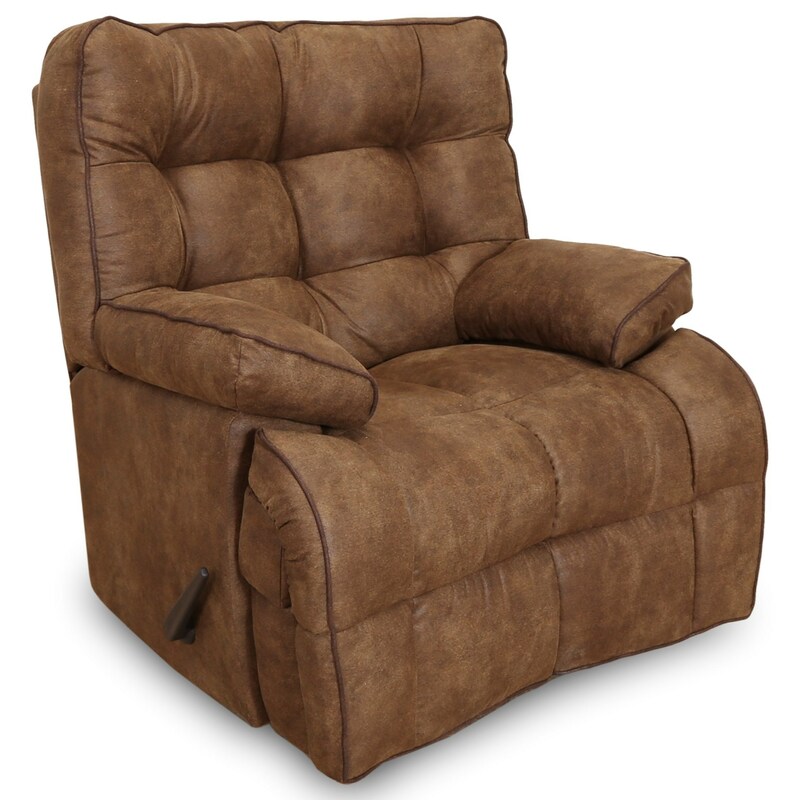 Create a space in your family room where you can kick up your feet and relax with this rocker recliner. Its plush cushioning and plump pillow arms provide the comfort needed to make this recliner the perfect spot to watch the game, movie marathons, or catch a quick nap. The Venture Rocker Recliner with Pillow Top Arms by Franklin at Miskelly Furniture in the Jackson, Pearl, Madison, Ridgeland, Flowood Mississippi area. Product availability may vary. Contact us for the most current availability on this product. Fabric Options Available in Pewter or Elk fabric options. See store for details.